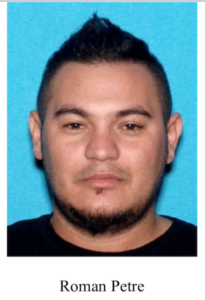 –On Friday, Aug. 24, officers from Santa Cruz Police Department and Los Angeles Police Department assisted Paso Robles Police in arresting 28-year-old Roman Petre in Los Angeles. Petre was currently out on bail for another jewelry store burglary in northern CA and was arrested at LAX while trying to flee the country to his native Romania. 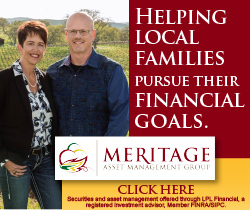 Petre was arrested on a one million dollar warrant stemming from his part in the Siegel’s Jewelry store burglary from March of 2018 in Paso Robles. Petre, along with five females entered Siegel’s Jewelry on March 20, 2018. While the store clerk was distracted, several pieces of jewelry were taken by the group. This same group is believed to be responsible for several similar burglaries throughout California. 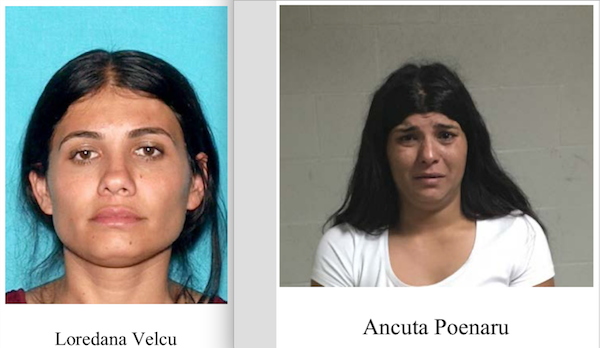 Arrest warrants have also been signed for Loredana Velcu and Ancuta Poenaru for their part in the burglary. Anyone with information regarding their whereabouts, or the identity of the three additional suspects, is encouraged to call the Paso Robles Police Department at (805) 237-6464. Persons wishing to remain anonymous are encouraged to call Crime Stoppers’ 24-hour hotline at 549-STOP or by texting “SLOTIPS” plus your message” to CRIMES (274637).